If you want healthy teeth, then it’s important for you to to avoid foods and drinks that have been shown to contribute to decay. For example, hard candies are filled with sugar which acts as bacteria for the mouth, and if you bite down on these sweets you may crack or damage your teeth. Sour sweets and acidic foods can also wear away at tooth enamel, which is why it’s important for you to only eat these things sporadically. One of the worst things for your teeth is soda, according to the Colgate Oral and Dental Health Resource Center. Not only does soda contain sugar that can harm your enamel, it is also highly acidic. 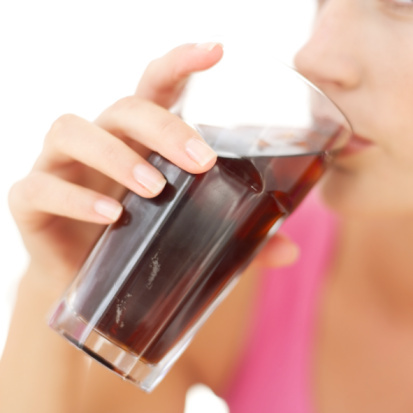 This is why even sugar-free sodas may damage your dental health. Recently, Health Canal published an article reporting on a study from the University of Adelaide which found that soft drinks may need to include warning labels explaining the potential dangers these drinks pose to teeth. According to the scientists, soft drinks are truly dangerous on many different levels, and people need to understand this, especially before they give soft drinks to children. The researchers suggested that rather than soda, parents give their children fluoridated water and other drinks that can boost dental health. For example, milk contains calcium which is an essential part of healthy teeth and bones. I was able to get in to see them quickly and the staff was very friendly and accommodating. I’ve always been greeted by a friendly face and the whole staff is not only professional, but very friendly too! Everyone in this office is friendly and works very hard to make the patients feel comfortable in an environment that can be intimidating to many people. This office is great! The staff is amazing. So caring and helpful. The receptionist and Jen are amazing people! Excellent. Dr Ruffner is very experienced and thoughtful. It was a completely awesome visit from the front desk to getting my tooth pulled. I love this office! Going to the dentist isn’t scary at all here! Very nice and willing to get you in as soon as they can. The whole staff is just super friendly.